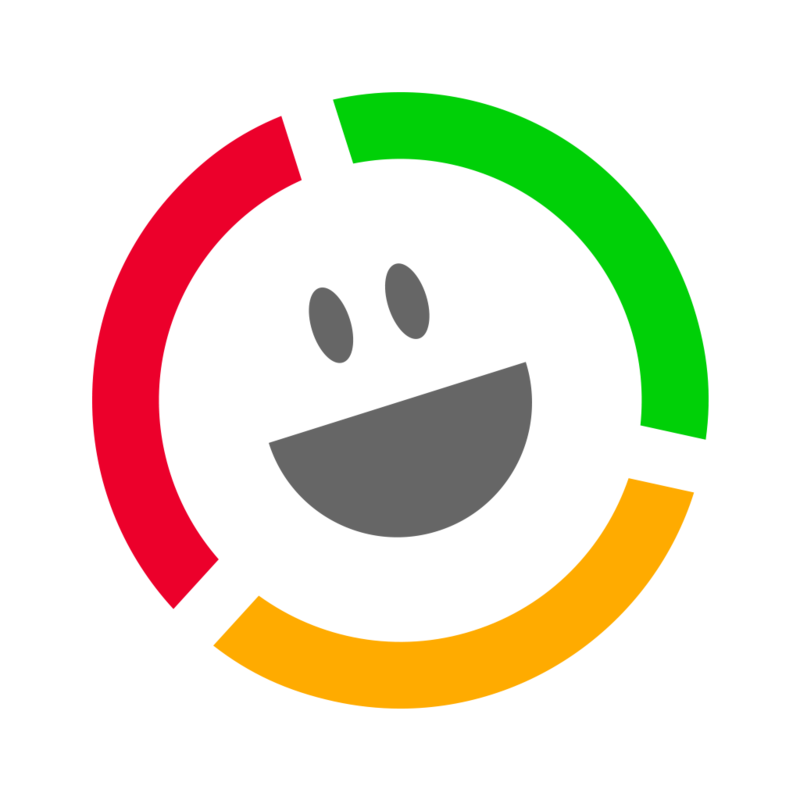 Customer Thermometer helps Service Desks, Helpdesks, Customer Support, Customer Service and Success Teams get more feedback from customers and staff. 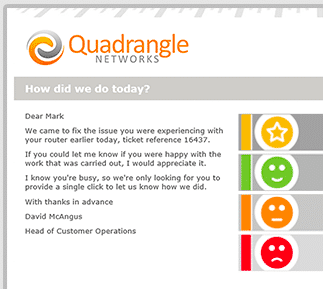 Send an email with our feedback buttons in. Recipients simply click a single icon, and can leave a comment. Their feedback is registered, they don’t need to confirm their choice. You can use all types of survey from a single account. Embed buttons into emails from any app. such as support or delivery feedback. 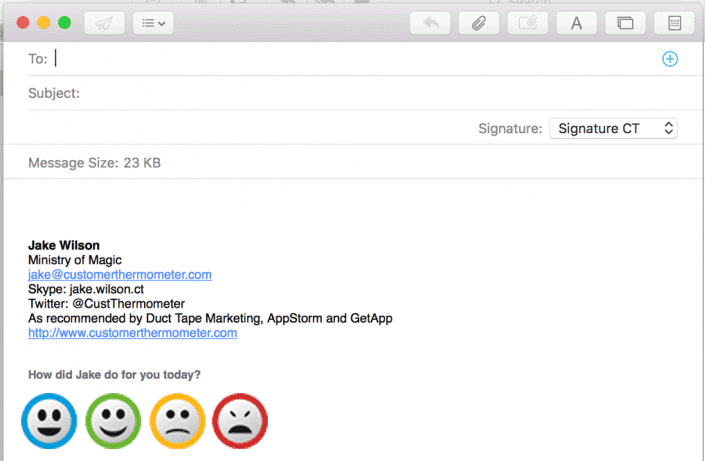 Add buttons to your email signatures. Send directly to your recipients. What happens when they respond? As soon as the recipient responds, their feedback is recorded within your account and they see a brandable, customizable Landing Page. This page acknowledges their response and allows them to leave a comment (if you wish). Comments are optional for the recipient and will be appended to the response, if provided. There are 4 context-sensitive landing pages (one for each possible rating) for each Thermometer. Each one can be customized when you set up your 1-click survey. 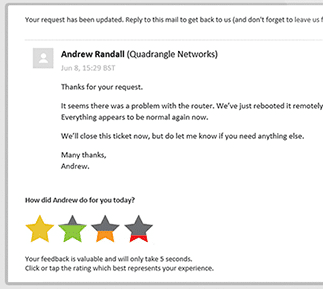 You can also choose to receive email alerts for certain types of response and/or for comments. There’s a 1-time set up of your survey template in the Manage Thermometers area. You can come back to edit the settings any time you wish. 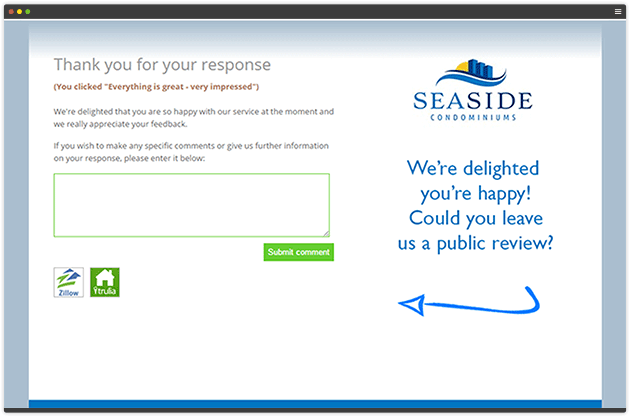 You create your survey buttons and template, and then customize the landing pages you want your recipients to see. 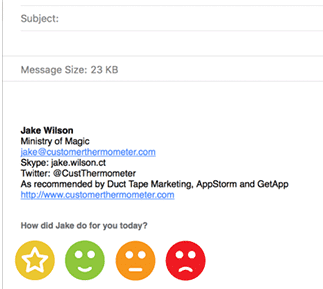 -For an Embedded Thermometer, we generate a snippet of HTML code and you paste it into your CRM or Helpdesk app’s email template area. -For an Outlook signature Thermometer, we generate a set of icons and links for you to add to the Outlook signature. -For an Email Thermometer, you simply create a List of contacts in your Customer Thermometer account and send out your “Blast”. 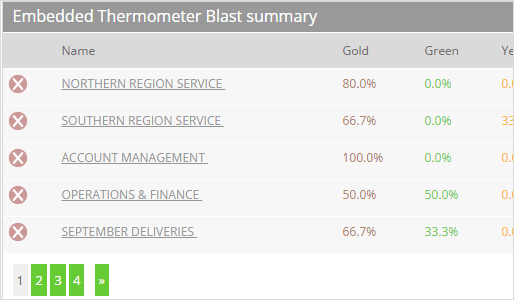 Each Thermometer’s responses are collected in a “Blast” within your reporting area. Think of them as buckets or envelopes which hold specific sets of responses. They are automatically created when an Embedded Thermometer is generated or an Email Thermometer Blast is sent. 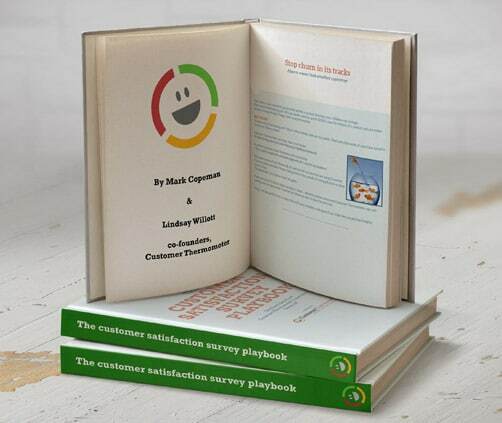 Customer Thermometer can be used in so many different ways. Measure one area of your business and do that well. It’s easy to roll out the service to other areas. Think about how you might tackle feedback when it comes in. 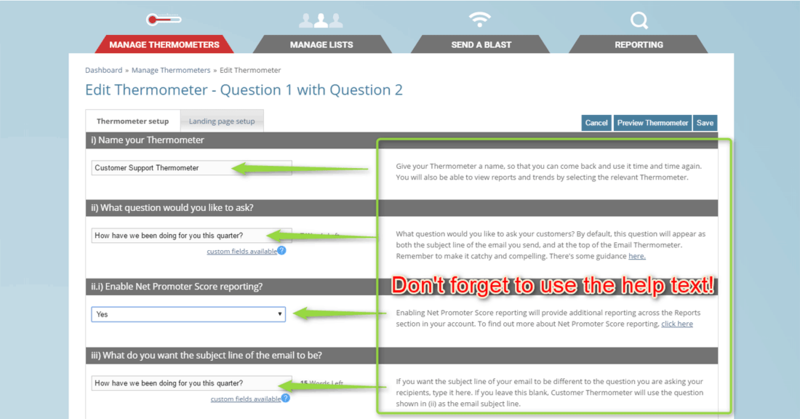 Head to the Manage Thermometers area (1) and choose between the Email or Embedded tab (2). You can set up as many Thermometers as you wish. Next, create a new Thermometer (3). With your first Thermometer template created, it’s time to test it out. 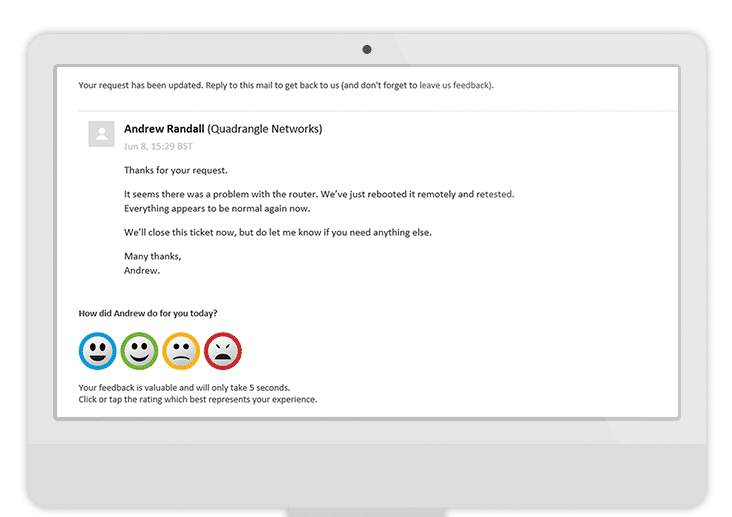 Customer Thermometer works with hundreds of apps, like Salesforce, ServiceNow, Zendesk and more. To get help on how to connect CT and your system, visit the integration help page. If your app isn’t listed, get in touch. It’s likely we can quickly and easily get it working for you. Whichever Helpdesk / PSA / CRM system you use, the principle is the same. We merge variables from email templates in your Helpdesl/CRM/email system into our tracking links, to provide identifiable tracking information which is then stored in your Customer Thermometer account. Each app is slightly different and there are different instructions and possibilities. It’s simple. No developers are needed. Follow the instructions to create your Thermometer and then click the “Generate embed code” button. Once you’ve created your Thermometer, you can grab your icons and links and add them into your signature. Either make it your default signature or do what many customers do and switch in a signature survey for relevant emails. Note that our Thermometers will work with Mac Mail, Office for Mac, Lotus Notes, Gmail and all versions of Outlook. To send Email Thermometers from our system, you’ll need to create a List of recipients. You can type your List in by hand, or upload a CSV List directly into the app. Once you’ve uploaded your List of contacts, click the “Send a Blast” button on the main menu. Then simply select your Thermometer template, and your List. You can send it out immediately, or time it for the future. 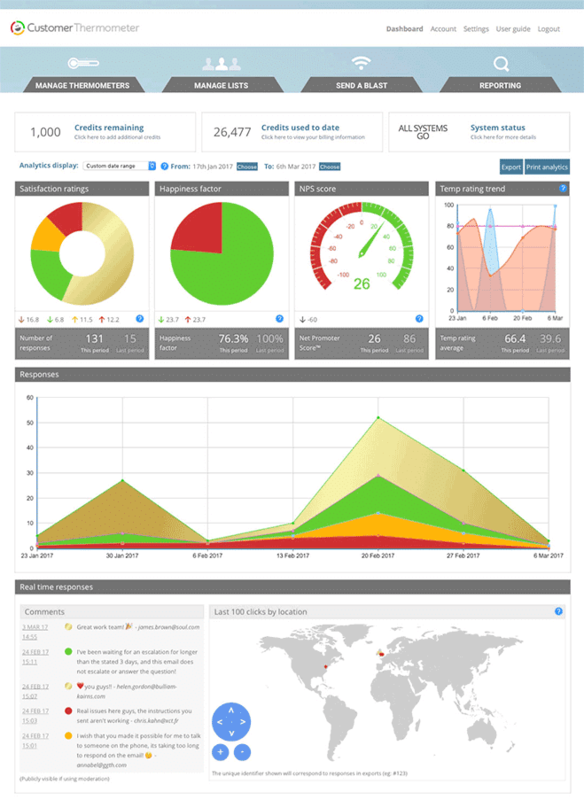 When you log into your account you’ll see your Mission Control dashboard. This brings together all responses from all Thermometers, by the date range you set. To see a full breakdowns for for your survey simply click the “Reporting” button on the main menu at the top. For every Thermometer you create, there is a separate reporting line available within the Reporting section. Click into it to see individual responses and comments. 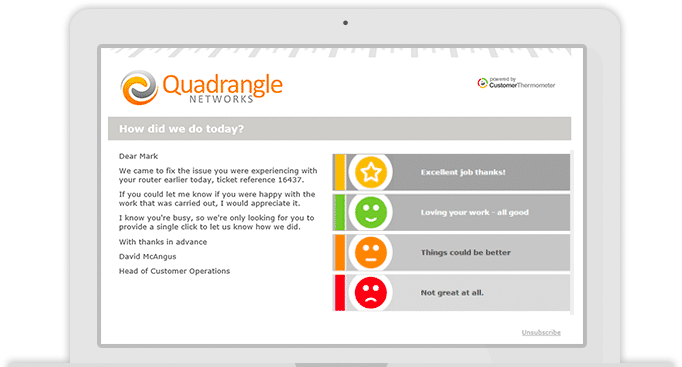 We also have out-of-the-box reports which span League tables, comment analysis, target setting and monitoring, trend analysis and exporting capability. How you react and respond to the feedback you get is the really important part. Involve everyone. Respond to disappointed customers immediately, reward high performing staff, coach those in need. Put feedback at the heart of your business and see the different it makes. When you’re ready to get your first pieces of feedback coming in, it’s then time to upgrade to a paid plan. Embedded Thermometers use 1 credit for every response received. Email Thermometers use 1 credit for every email you send the Thermometer to. Visit your Account or Upgrade area on the top menu and enter your details – then choose the plan that’s right for you. Remember, you can upgrade or downgrade at any time. You only need one account, for an unlimited number of agents. Our customer success team is called the Ministry of Magic with good reason! If you need any help, get in touch below.